I was at the airport in Vegas getting reading to board the plane to fly back home to Florida…. I was in the hurry at the time, with the gates literally closing within 5 minutes, but I knew that my husband was running behind after having to drop off the rental car, so I wouldn’t get on the plane without him anyways. I had Lexi in a my Emotion stroller ( which is by the way ridiculously awesome for airplane travel) and 3 carry-ons with me, but I was determined to get some water and reading materials for the flight. After browsing their magazine stand and not finding anything that would interest me, I made my way to the book area and after skipping all the romance novels, I saw this book, called “How Children Succeed” and I thought the title was good enough for me to make it an entertaining and at the same time educational read while Alexis sleeps on the plane. Little did I know that that book would become the kind of parenting science/child psychology/biology book that you devour and then recommend to all your friends and blog about. So here I am, so impressed with it, that I am writing this post while riding in the car from Orlando. Go on Amazon.com ( or wherever it is you buy books) and order this book immediately! It does not matter whether you are 16 years old, 50 years old, or childless. It is seriously that impressive and interesting to anyone who has ever been interested in why people turn out they way they do and what makes some people successful and well rounded individuals while others seem to struggle at everything they do, how much parenting really influences us and our children. This book has insights, parts of which I have read in numerous parenting and psychology books I have gone through over the year, yet no one book has ever summed everything up and traced it from the beginning to the end, rather than rely on us trusting its conclusions. Without going into much detail about the mechanics behind it all, the book goes over stress and the effects of stress, specifically early childhood stress, on humans and their outcome in life. According to the book, human’s stress response system is faulty based on the type of lives we are currently leading. It was designed for an occasional fight or flight response, where our blood pressure is elevated, our body is flooded with cortisol, out heart begins pumping, our mouth gets dry conserving water, and many other inner responses that many of us don’t even notice. The problem with that response is that it was meant to be activated at a time of a real danger, predator chasing us, getting wounded, etc. And all parts of our stress response system get activated at once because our body doesn’t know the type of danger we are in, all it knows is we are in danger. In our modern world, we rarely get in actual danger, however we do have constant worries and fears which create chronic stress response. And our bodies were not designed to withstand that kind of load of stress hormones constantly. That takes a toll on our physical health, emotional health, cardiovascular health, as adults. However, when a child experiences stress in early childhood and infancy, the stress hormones actually CHANGE the chemistry of the brain and the DNA of the child, in ways that no one could predict until certain studies were done. Those children that were subjected to stressful childhoods (that could include poverty, crowding, family deaths, divorce, family feuds and virtually any kind of trauma or upset to a child’s emotional state) are MUCH MUCH MUCH more likely to turn out aggressive, prone to suicide, quick to anger, temperamental, unable to learn and adapt, unable to control emotions or the opposite reserved, scared, anxious; the degree of outcome closely correlating to the degree of issues encountered in childhood, due to how their brain chemistry and DNA were changed in response to those childhood stressors. This was a very intriguing finding to them which led to another study where the rats were grouped into licking and grooming mothers and pups (high LG), and those that did less licking and grooming (low LG). Then when pups were older, tests were run on them ( those who have read about studies on rats know them as open field tests), and what was found is that pups that had mothers with high licking and grooming behavior were more curious, smarter, more social, healthier less agressive, had more self-control and lived longer. When the adult rats’ brains were examined the researchers found out that the brains’ stress response systems had significant differences in shape, size and complexity of the part that regulates stress, depending on whether the rats were the high LR mothers’ offspring or low LG mothers’ offspring. Just to make sure that it wasn’t a genetic trait that was passed down from mothers, the researchers did another study where they separated pups from their mothers and placed them with surrogates that were either high LR or low LR and the results were still consistent. It wasn’t the behavior of the biological mother but the rearing mother that mattered. Moreover, they have been able to demonstrate that the grooming (or lack thereof) not only produced hormonal changes in pups but it went to genetic level, controlling gene expression, turning the genes on or off. “Blair found that environmental risks, like family turmoil and chaos and crowding, did have a big effect on children’s cortisol levels – but only when their mothers were inattentive or unresponsive. When mothers scored high on measures of responsiveness, the impact of those environmental factors on their children seemed to almost disappear”. a rating of maternal responsiveness based on children’s answers, as well as an observation of the mother and the child playing together. Evans, the researcher, found once again that the higher the environmental risk score ( family and environment issues), the higher the allostatic load score (the stress response)… UNLESS a child’s mother was REALLY responsive to her child. In which case, the effect of all the factors was almost completely negated. 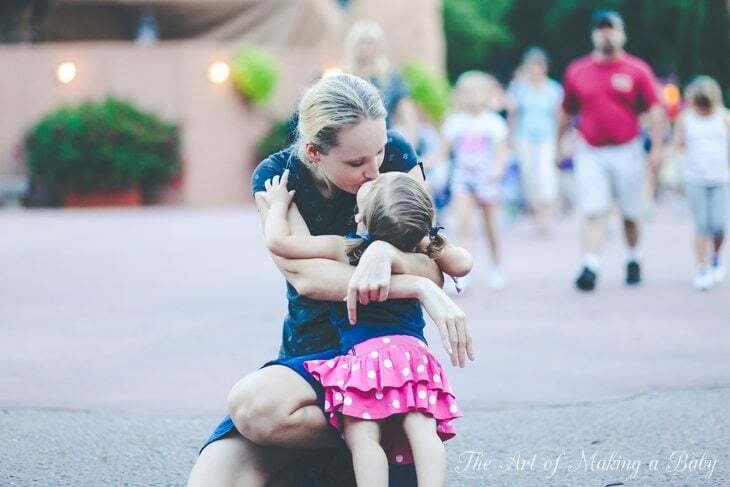 In another words, being responsive to your child, helpful, emotionally supportive and loving will create resilience in your child, regardless of their and your life’s circumstances. The author then goes into the explanation of the attachment theory and the belief that it’s the closest parallel to licking and grooming in humans and the history and the theory behind it. This whole idea only took about 15 pages of the book, but it was so important to me and somewhat earth chattering and yet obvious that I felt it was my duty to share, to serve as encouragement for any mother who is doing her best to be the best mom she can be. 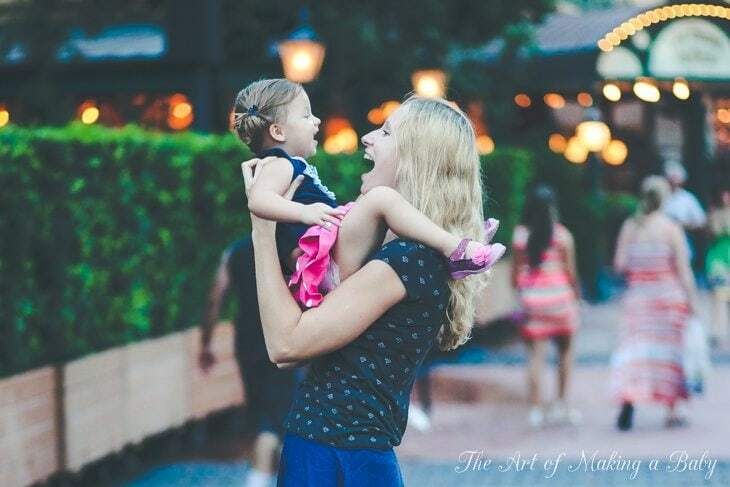 It’s the best reward for mothers to know that the hard work we put into being parents, the job that we do as mothers and how we do it have a profound effect on the future and happiness of our children, whether it’s emotional, physical or financial. Note: Again, I cannot stress enough how amazing this book is how this post encompasses only 1/10 of what the book is about. I am only on page 33 and this has been one of the most eye opening and educational non-traditional parenting book I have read ( and have read a lot of them). Definitely some amazing findings! I think the whole Nature v Nurture thing is very interesting. And I can really see how being a high ‘LG’ parent would help with stress levels in a child, having a lasting impression on them. I do believe in the nature part too. If you look at two siblings from the same family, with the same high ‘LG’ parents and upbringing, they can be completely different in their behaviors. One can be the head strong, smart, outgoing type and the other the introverted, less confident type. That’s without any added stress or anxiety in their lives. That being said, I do believe being responsive is super important and maybe if that first child experienced a traumatic event with less attentive parents, he might have turned out much more like the second. Thanks for posting- I may have to get a copy. Ok so I totally buy into this kind of parenting myself but the question that I have about things like that is how is it the there are MANY cultures in which this kind of parenting is not supported (China, Russia…maybe not now but back when i was a kid) and yet they are bringing up strong, driven, successful individuals? Obviously not a question to you or anything but I read books like this too and when I’m reading them, I’m like YEAH this totally makes sense and personally, I believe this so I will do it too, but then I do wonder how many other cultures don’t buy into this kind of stuff and are raising successful, emotionally stable children. Anyways, food for thought. I’ll probably end up buying this anyways to check it out cuz you’ve totally spiked my curiosity. 1. From what I understood (he went into MUCH more detail on the mechanics of everything) you don’t have to be a super ap parent to create environmental resilience in your kids. You just have to be supportive ( not discouraging ) and responsive (not ignore their needs and cries etc) to create this. It mentioned that 60 percent of parents fall into that category. That’s a large number. I don’t think Russian culture has parenting methods that are unresponsive. Quite the contrary from my personal experience Russian mothers are extremely lovin , selfless and supportive almost to a fault. At least in my family and families of my friends the mothers were the warmest mothers I’ve seen since moving to Us (they had stressful lives so it was not always apparent but the love and support was always there). Not sure about the Chinese culture specifics aside from pop knowledge. And also you can turn out just fine on the surface but have plenty of lingering issues and have trouble controlling emotions. Our bodies work in ways that aren’t always apparent. And I forgot the second point I wanted to make. Haha. The thing is there are levels of disfunction and levels of responsiveness. So I think it’s all about how it shakes out in the end. And we can’t ignore genetics too. The book only went over how the environmental factors are erased by high lg mothering. Genes are still there and personalities still exists. Finally to me this isn’t the type of thing that I can go “that makes sense” to. It’s not talking about a theory or belief. These are Actual studies that have been done and replicated over and over again with the same results. Just ordered the book, thanks! My aunt gave me this book, before my daughter was born. It really is an amazing book! I love that they go into the mechanics of WHY AP is beneficial to babies/children. Thank you for posting about it. This book sounds great! I just don’t understand how mothers could not be responsive to their children… such a foreign concept to me! 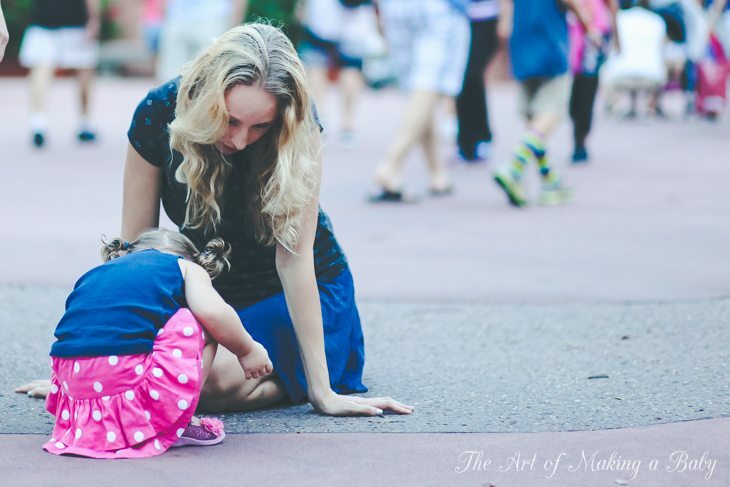 Seems like a natural instinct to be responsive, attentive and loving to your child. It makes me sad to think not all mothers are that way. Thanks for posting about this! This is basic attachment theory a la Bowlby and Ainsworth, which I imagine is the basis of every parenting book and parenting philosophy(or should be!). Studies conducted by Mary Ainsworth (and others, but mainly Ainsworth) using HUMAN populations (an important point here, because only then can you generalise this information across populations and different societies and ethnic groups) have indeed shown that in non-clinical groups (‘normal’ populations) around 60% of children are securely attached, with the other 40% being categorised as one of three types of insecure attachment. With marginalised groups where there is domestic violence, drug and alcohol abuse, homelessness and other vulnerabilities, up to 75% of children are insecurely attached. This insecure attachment CAN lead to some of the issues you discussed, such as lack of resilience, behavioural issues, poor parent-child relationships etc., but not necessarily as there haven’t been enough longitudinal studies in humans to demonstrate this unequivocally. The premise of ‘good enough’ parenting as outlined by Circle of Security researchers suggests that responding to your child appropriately around 80% of the time in normal circumstances will foster resilience, independence, etc., so takes away the pressure of being that ‘perfect’ parent that many seem to struggle with. COS teaches about parents being “bigger, stronger, kinder and wiser” than their children and I believe that to be the cornerstone to helping your child be resilient, secure, independent, confident etc., so again, there’s no fear that your child is going to become a serial killer if you tell them “no” sometimes or don’t give them your full attention ALL THE TIME! The other really important thing to remember is that EVERYTHING is fixable! It’s not ideal, but children who have been insecurely attached to a parent or caregiver can have that attachment repaired with the right therapeutic approach, and neural pathways that have been damaged can also be repaired using play or a myriad of other therapeutic approaches out there, so as much as we want our children to be in that 60%, they are not destined to a life of crime or depression or whatever if they’re in the other 40% but have their issues addressed. So, TL;DR, Good enough parenting where we respond to our children appropriately around 80% of the time, providing appropriate affection and supporting exploration will foster healthy children. For children who, for whatever reason, have not been responded to appropriately are still in with a fighting chance even if that affection and support comes later! Most of what I was writing was based on completely different research that has to do with children that grew up in difficult circumstances, unlike most of us. Yes, if nothing is wrong with a child’s environment (loving parents, secure home, food on the table, no strife, no stress, no bullyin, no abuse), then a child can grow up perfectly adjusted DESPITE unresponsive parenting half the time and like you said that insecure attachment can be fixed. However, as soon as you add one of the issues in their environment (abuse, family fights, poverty, death, any kind of trauma and stress), you get the changes in DNA, brain structure and outcome unless the caregiver is responsive. So that was really the focus of the book. It’s not an attachment parenting book, in fact the attachment theory is one little section in it, but it talks more about childhood stressors, underprivileged children and what can be done to erase the horrible effects of those factors. SO for those of us who have good lives with little stress, being perfect won’t do THAT much better than being “good enough”. But for the children who had to go through stress, responsive parenting means the difference between success and failure. Thanks, Serena, this is a really informative and well-written comment! I forgot to link to the article, sorry! Agree, good points to think about. Great post Elena! I have this book and have yet to read it, but your post is encouraging me to do so. Oh no, I think we are agreeing, except on one fundamental point; even this “different research” you mention is still based on Bowlby and Ainsworth’s original work, whether that is made explicit or not. Attachment theory and attachment parenting are two completely different things; this other work talking about the effects of responsive parenting (which I mentioned in my post, and we are apparently agreeing on – the whole bigger stronger, kinder, wiser thing) are just extensions of this work, looking at what leads to secure and insecure attachment, and then the issues that often follow insecure attachment, and what can be done to repair the effects of insecure attachment which can lead to the vulnerabilities you mentioned. If you like ;-), but unless research has been conducted using large (really large, like in the thousands) groups of HUMANS (as opposed to rats), it’s not going to be particularly useful in defending a position. From what I can see, and have read (in the book), there isn’t anything new at all here, well not that has been PROVEN anyway. I know one of them with Blair as a researcher was done on 1200 infants. The other one with mid schoolers I can’t remember. Pick up that book. It’s really amazing. It’s be interesting to know what you thought of it considering you have some good knowledge on some other related research. Wonderful book!! I too bought it thinking that I would get some useful information out of it as a teacher and mother, but once I opened it I COULD NOT put it down. I then recommended it to all my mom and teacher friends, and took it into the principal at my school. I absolutely love that it is research based, and well documented!! Thank you for sharing it with others!!! I am surprised how many people have read it and that’s so wonderful. I’m sure as an educator it was of great interest to you since it focuses on that. This is very interesting. It really makes sense when I think about my brother. When I was little, things were happy. I remember having a pretty stress free childhood. When my brother came along, I was 8 years old, things were really tough and a lot of stress. Things like my mom having gallbladder surgery a couple weeks after giving birth, to deaths from close loved ones, to many problems with teachers at school. He was never happy as a kid and really wouldn’t let anyone comfort him or soothe him. We always thought that the stress from when he was little, starting with his circumcision which was handled poorly at a day old, had made him into the temperamental, introvert that he is now. We are trying to get hp for him and he does seem to want it. I really lied this read and it makes sense. I sent it to my mom so she could read this as well. I know we could totally draw some parallels in our own lives and families. I’m still not done with the book since I can only read when in the car but I can’t wait to see if there’s anything they found that can reverse these negative effects. I know a few people who would kill to know “the cure”. If you mean treatment for attachment disorders (which are both very serious and very rare) then a good authority is Dr Karyn Purvis. She wrote “The Connected Child” among other books. I do think her discipline techniques are useful even for non-traumatized children, I know I relied heavily on them while doing childcare and now in raising my son. According to Dr Purvis, the term “radical attachment disorder” will not exist in a few years because such amazing strides have been made in helping these children. But if you mean something else, I don’t know. It’s also important to remember that sometimes things just are, and the most loved children in the world can have delays or difficulty making it in the world. It’s important to see our children as their own wonderful people who belong to themselves and not as a reflection or extension of ourselves. Thanks for drawing my attention to the book – it is an interesting read! 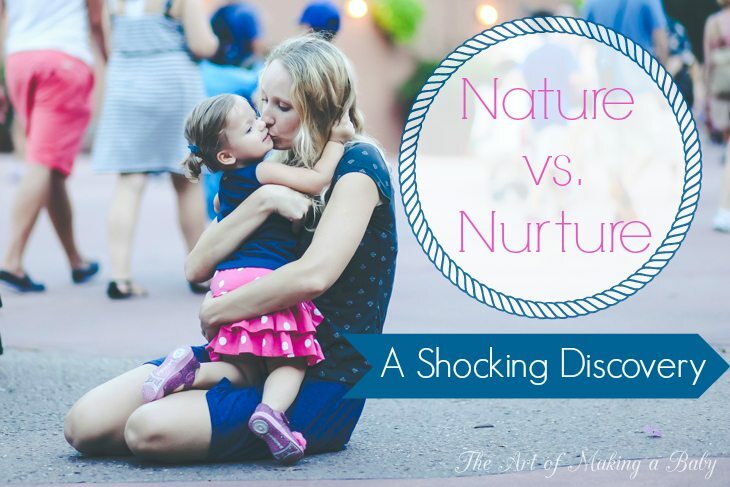 I completely agree regarding the nurturing parent, etc… but I am not sure why this is so groundbreaking…? The importance of fostering a loving, respectful and nurturing bond with your child, importance of building secure attachment and then developing strong character in your child, etc. are not new concepts by a long shot. I thought that negative effects of continuous stress on a human (esp. child) is pretty well known… what am I missing here? I think you have made those same points on this very blog a few times already…? Anyways, I think that based on the interview with the author and some reviews from the Amazon page, the goal of the study, at least initially, was to examine outcomes of growing up in poverty (usually negative) and better understand the ways to resolve the problems and improves those outcomes, especially since the gap between the “haves” and the “have nots” in the country is widening. The misconception, according to the author, is that children may have better outcomes if they have access to “better” education (simplifying), but the book argues that nurturing/attentive/loving parenting is just as if not more important to overcome the negative effects of poverty, etc. The ground breaking part is the one where childhood stress and horrible events lose any effect on a child when there is a responsive supportive care giver. Obviously most people’s kids in well adjusted families will turn out relatively fine. But it’s those who had bad childhoods that benefit from a responsive mother. And yes in the first few chapters the book most goes over extreme childhoods and what can be done to fix the outcomes. However all those studies are great material for everyone else too. You do realize that he is just an author and not a psychologist right? An author who is citing studies rather than draw his own conclusions. You don’t need to be a psychologist to do that. The work has been done and interpreted, he is just making sure it’s widely available. Like Irina said, it’s not ground-breaking or even new information, and is widely available, I’m not sure why it’s such a “shocking discovery”. Surely this same information is the basis of just about every parenting book you’ve read? Basis – yes but I have never read about this specific research by Meanie. Not sure why it’s so surprising or horrible to be excited about a book or a study…. Internet. Some people don’t feel they need to censor themselves on the Internet so they let everything air out: annoyances, insecurities, anger, superiority, guilt, issues, dislikes, disagreements etc. I am sorry to be giving you a hard time – it was not not my intention to criticize the entire blog, which I actually enjoy reading, although I do not agree with everything. I have nothing against the book, as all the points it makes are valid, useful, important, etc. I was just commenting that I did not find the conclusions to be all that “shocking”. I look at this book to be more of an interesting “sociological” study, rather than a report of the groundbreaking child psychology research findings. I do try to be polite and respectful in all my internet interactions, this blog included, and I was not thinking that my comment was a departure from a polite conversation; but i could see how I may have come off as negative. Thank you so much for the suggestion. I will order this book from Amazon for sure! Not sure if this is the right place for this– but just wondering if you write any of the articles for DailyMom. I KNOW you work behind the scenes, but just thought it would be nice to hear your opinion and point of view more on the site. 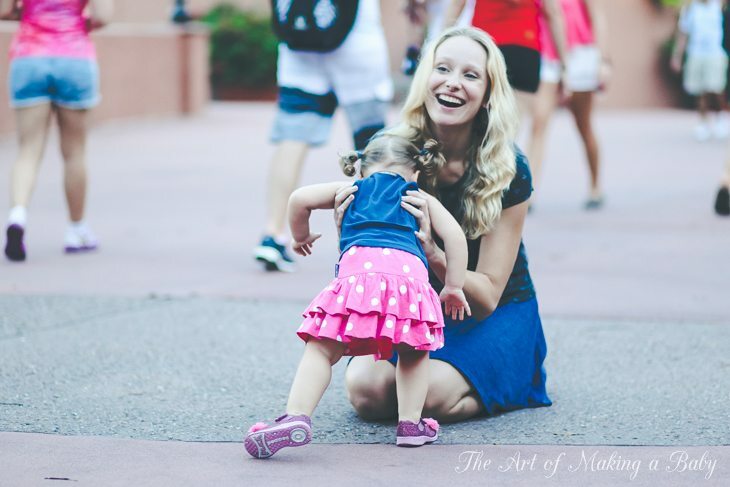 Unfortunately, I simply don’t have enough time to write many articles on Daily Mom – all my time is taken up managing the site. I’m hoping in the future it will be an option … Like once Lexi goes to preschool and I have a few extra hours a day. But it’s not a parenting book. If memory serves, that section was intended to give a brief run-down, to teachers and other childcare workers who might not be aware, on the basics of attachment theory and the disadvantages faced by children who were parented in difficult situations. The book is actually about how educators and others who have a say in public education or a direct influence over school-aged children can help those who are disadvantaged, by helping them to develop the character traits that will truly help them in the long run (not just grades and academics). Children *with* the advantage of a responsive upbringing can still be lacking in character. Children *without* that advantage can be taught the essential character traits. Early parenting is not a ticket to greatness or failure, just a clue to the puzzle. Hi Elena, thanks for sharing this information with us, I am not an expert in the subject and only got one 5 months old baby boy but it just makes sense that if the little ones get plenty of love and support from their parents, they will find it a bit less harder to adapt to “life”. This blog is helpful, I think you delivered it in a way we can easily understand. I will share this post to the moms I know and moms-to-be. Thank you Elena.